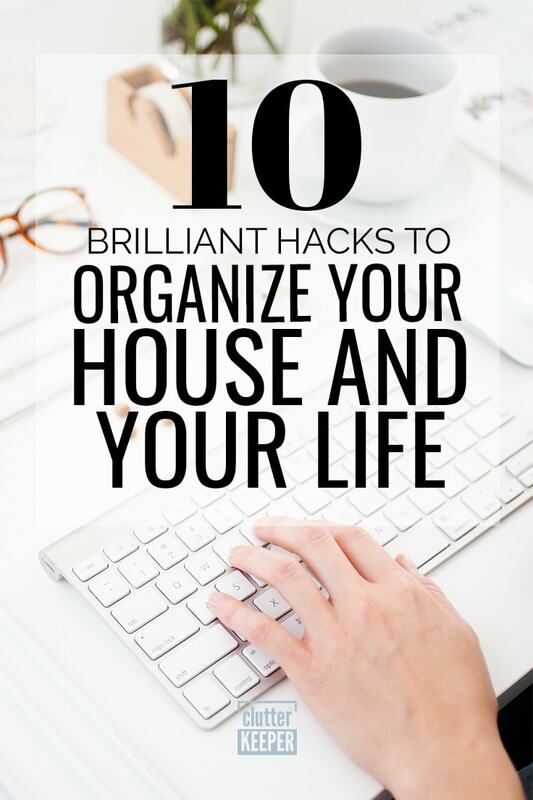 Get into the habit of organizing and tidying your home with these 10 brilliant hacks to organize your life and your entire house. These easy ideas will change the way you organize! 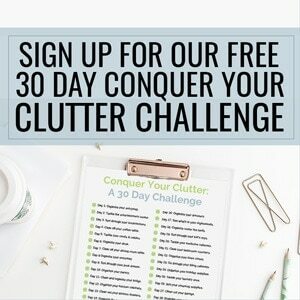 Are you in an organizing rut? You have all these great organization systems in place, but it still feels like your mess is just staring at you. When your house isn’t tidy it can make you feel depressed or even unmotivated, which is why it’s so important to have a tidy home. So let’s look at 10 brilliant hacks that will help you organize your life, and your entire house. Here are 10 brilliant hacks to help you organize your life and your house so you can stay organized. Each of these is a rule or principle, that if you follow, will keep you focused on the most important goal of all: to maintain a peaceful life. The first rule is probably the most important. If you ever bring something into your room or house, something else has to go out. The one in one out rule is a great way to make sure your home never gets overwhelmed. If you bring an item into your home, another must go. The best way to do this is to look at the category. If you bring a shirt in, take another out. To make this easier to follow, keep a “donate” bag or box somewhere close by, where you can easily put your donations. This list of items to purge and donate each season is very helpful. 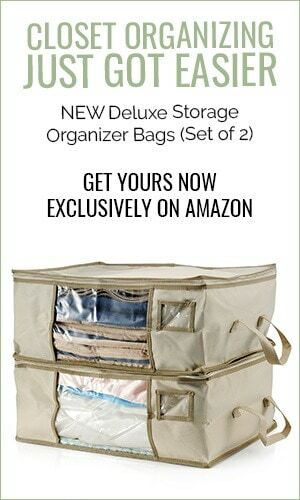 The next rule that will help you organize your life is to use organizers within your bins and drawers. Bins and drawers can become really full without proper organization. Things get lost in the drawer before you know it. To avoid this, use organizers within these deep storage options to help you see everything you own. You can always purchase drawer or box organizers. If you like small DIY projects, then creating drawer organizers is a cinch. Basically, all you need is some cardboard or foam board, scissors, and measuring tape. Here is a video showing you how easy it is, and you don’t even have to make them extra pretty like she did, but it sure makes it look better. Keep a designated area for your donation items so you know exactly where to bring them when you’re ready to part ways. One fantastic idea is to keep a small hanging laundry bag inside every closet, and then remove them when they are full. The next principle that will help you organize your life is to take it one day at a time. You don’t have to purge your home in one day, spread it out and go at your own pace to make it stick. 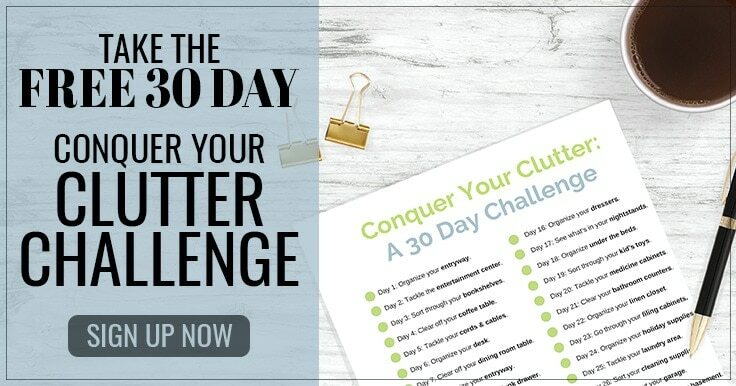 You can take our 30 Day Conquer Your Clutter Challenge to help you get started. When you match your organizing style to your life, it will be more likely to become a new habit. Once you start letting one area get out of hand, the rest goes down with it. Make it a point to organize every area of your home, even if it’s not all at once. So after you get one room completely organized, move on to the next room. This room-by-room organization guide can help. Create a schedule for revisiting rooms and systems to make sure they are all still working. Don’t ignore a closet or room, because that will have an effect on everything else. Another way to organize your life is to find a way to creatively store items that get lost or thrown away. Use toolboxes, drawer dividers, and other storage solutions to store your smaller items so they don’t get lost or misplaced. Spice Racks – You can use these to store so many things. From storing nail polish to even books or home office supplies, these are a fabulous storage hack. Magnetic Strips – If it’s made of metal, it can be magnetized on the wall. Collect bobby pins or even kids’ toys. Baby Food Containers – The small size of these jars make them perfect to hold loose change, small arts and crafts supplies, and push pins. If you are worried about forgetting a memory you are parting ways with, consider taking a photo and keeping them in an album. It might sound silly, but pictures are a great way to hold on to memories you are having a hard time parting ways with. These tips for getting organized and letting go of stuff may help you too. If you want to minimize your wardrobe, consider starting by cutting down the number of hangers in your closet. This will force you to get picky with your wardrobe and stick with only the pieces you really love. Another hack that you can utilize with your closet: hang up all your clothes with the hangers backwards. Every time you wear something, turn the hanger back around. In 3 months, if you have anything on a backwards hanger, donate it. The next principle is so important. If you want to organize your life, make sure you have the tools that will help you store your stuff. Baskets can make tidying a breeze when you are in a pinch. You can either keep a basket by the person or by room to make putting things back easier. Finally, when you start to make things a habit, you just do them without thinking about it. When it comes to tidying, start making it a habit and you’ll never let things get out of hand again. Whether you are trying to get back into the habit of organizing and tidying, or you just need a reboot to get back on track, these 10 hacks are going to change the way you organize. Now that you know how to organize your life and your home, here are more home organization articles to inspire you to keep up the hard work. Closet Organization: Your Complete Guide – This post answers every single question you have about how to organize your closets. Upcycling Ideas – Learn how to turn trash into home organization systems. Bedroom Organization: Your Complete Guide – Learn absolutely everything about how to organize your bedroom. Including space-saving hacks!